LADIES’ NIGHT is a light read, more entertainment reading that passes the time than something that pushes the envelope and challenges your perceptions. Grace and her husband Nick have a dream life, making an impressive living from Grace’s remarkably popular lifestyle blog. Grace writes the posts and Nick handles the business side, such as finding sponsors and advertisers. Then Grace catches her husband with her pretty, young assistant. 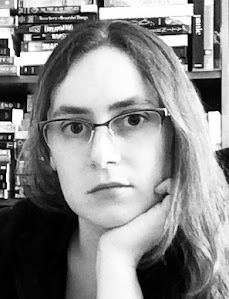 At first it seems like the worst thing that could have happened to her. Then it gets worse. Nick is not about to let Grace walk away from their marriage with the blog that has supported both of them in grand style. He uses underhanded tricks Grace never would have anticipated to sabotage her image and fight for control of the original, namesake blog that already has so many devoted readers. Needless to say, this is a story about a pretty messy divorce. More importantly, though, it’s a story about staying strong and true to your own sense of what’s right despite a slew of deliberate destruction sent your way. 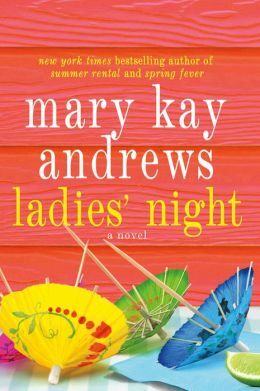 LADIES’ NIGHT is a good, fun read with my main criticism being that the characters often feel closer to caricatures than real people. You can usually tell whom you’re not supposed to like from the voice alone. Antagonists have annoying voices. Nick, the husband, in particular doesn’t feel real. He has an almost split personality, bouncing between being decent and mature when it suits the emotions for the scene to the pettiest, most vindictive jerk you’ve ever met when the story needs a despicable villain. I invested in the story more than I expected. I frequently felt genuinely worked up at the injustice of it all and vastly admired Grace for how she carries on when it seems like her world is collapsing around her. I suppose the truth of the matter is that even if the characters aren’t always believable, nevertheless the story is. Grace puts me in mind of any number of true stories about women (or men) put in infuriatingly unfair circumstances who refuse to become bitter, who resist the urge to give up, and who prove that it’s not what happens to you that defines you but how you handle it. I will also admit that the story wraps up a little too neatly at the end, a weakness I find more common in what I think of as entertainment reading. 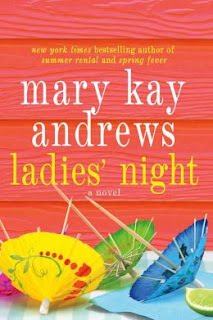 That being said, I enjoyed the book enough to seek out Mary Kay Andrews’ other books, so expect to see more reviews of her work soon!